UPDATE: Contest closed. Thanks to everyone who participated. Get ready, Los Angeles Halloween horror fans: Once again, Hollywood Gothique is giving away tickets to Nightmare at Scareview Farm! 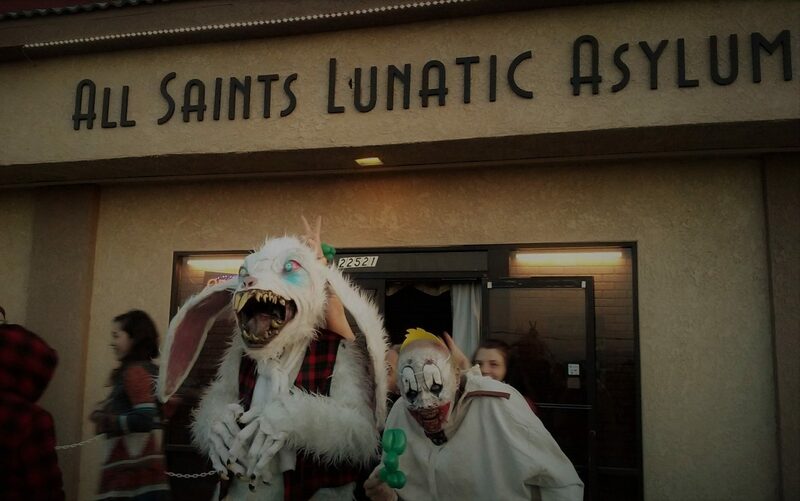 This multi-maze haunted attraction made its debut last year at the Los Angeles County Fairgrounds; for 2010, it expands from three to five walk-through realms of terror. General Admission is $15, but you can win complimentary pair of tickets simply by sending us an email (details below). Tickets are good for any day; the haunt runs October 14-16, 21-23, 28-31. Enter the contest by emailing contest@hollywoodgothique.com. Include your name and mailing addres and put "Scareview Tickets" in the subject line. (Tickets will be mailed to you, so don't forget to include address.) The first pair of tickets will be given to the first responder and mailed out in time for opening weekend. Subsequent winners will be selected by a random drawing. Contest closes on Sunday, October 17 at midnight; remaining tickets will be mailed on Monday, October 18. Dates & Hours: October 14-16, 21-23, 28-31, from 7-11pm. Click here to read our review of the 2009 Nightmare at Scareview Farms.